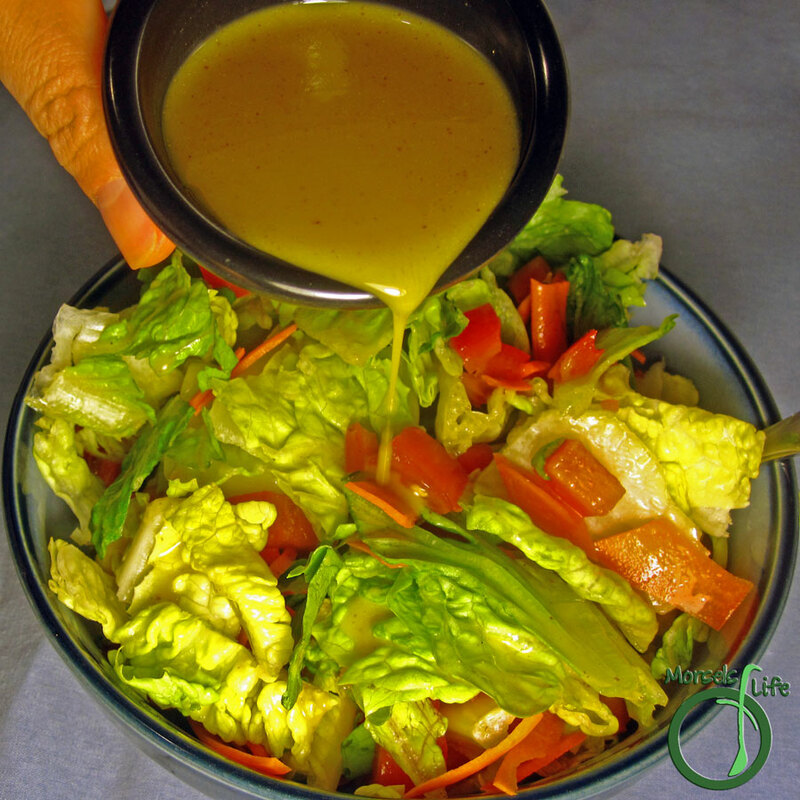 A versatile honey mustard dressing or marinade with just three ingredients! Being summer and all, I've had a bit more luck persuading James to eat salad. With this dressing, I think my job just got easier. James normally likes honey mustard. The weirdo even puts it on hard boiled eggs. But me? I've never much cared for mustard. James could probably go for just honey mustard on his salad. I need a bit more complexity (or just not so much "mustardy-ness.") Looking around, I saw some wine. And then, how can you have honey mustard without honey? (And there you have our three materials - honey, wine, mustard.) Just mix it all up, reduce the dressing to desired consistency, and you're good to go! Do you like mustard? What's your favorite way to use honey mustard? Reduce to 1/2 cup (or desired consistency) over low/medium heat.